If approved as a volunteer we will be adding you to our volunteer list but if you do not give permission we will not add you to our newsletter list. The Reaching Out with Yoga Project for women and children fleeing abuse takes place at specific sites throughout British Columbia. Incorporating Yoga for Justice Involved Youth takes place at specific sites throughout British Columbia.  Regular Yoga Outreach programming takes place at various sites across the Lower Mainland BC. If you are applying for regular YO programming is there a specific type of facility you would like to teach in? Do you have a particular facility/location in mind? If yes, you will be asked to provide details prior to final approval. If you have a current criminal record check please provide us with a copy for our records. If you do not we will send you a link to complete one at no charge to you. What do you feel it is important to share with students? What do you feel you have to offer YO students? If no, why not? If yes, then how? The more detailed your answer the better as many programs have specific scheduling needs. If you answered yes to the previous question, are you willing to submit an application on behalf of Yoga Outreach? Please note we require all YO volunteers to have completed our Core Training within the last 3 years prior to placement in a volunteer position. I understand that Yoga Outreach requires complete candour from all persons involved in the Screening Process and therefore acknowledge and agree that: (a) Any and all information gathered through the Screening Process shall be the sole property of Yoga Outreach; (b) Yoga Outreach will not release any such information to me, save and except to advise me that I have or have not, successfully completed the Screening Process; and (c) I will not ask, or otherwise attempt to oblige, Yoga Outreach to disclose or produce any such information to any person, including to myself, or to any entity, except as may be required by law.